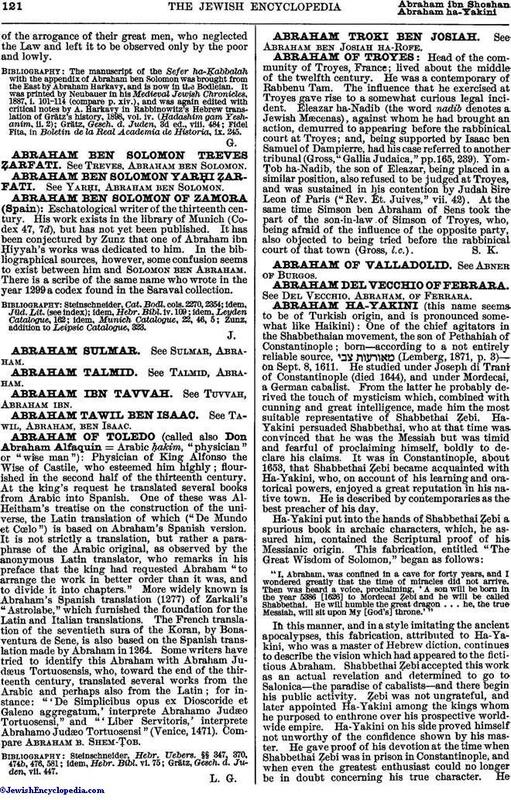 One of the chief agitators in the Shabbethaian movement, the son of Pethahiah of Constantinople; born—according to a not entirely reliable source, (Lemberg, 1871, p. 3)—on Sept. 8, 1611. He studied under Joseph di Trani of Constantinople (died 1644), and under Mordecai, a German cabalist. From the latter he probably derived the touch of mysticism which, combined with cunning and great intelligence, made him the most suitable representative of Shabbethai Ẓebi. Ha-Yakini persuaded Shabbethai, who at that time was convinced that he was the Messiah but was timid and fearful of proclaiming himself, boldly to declare his claims. 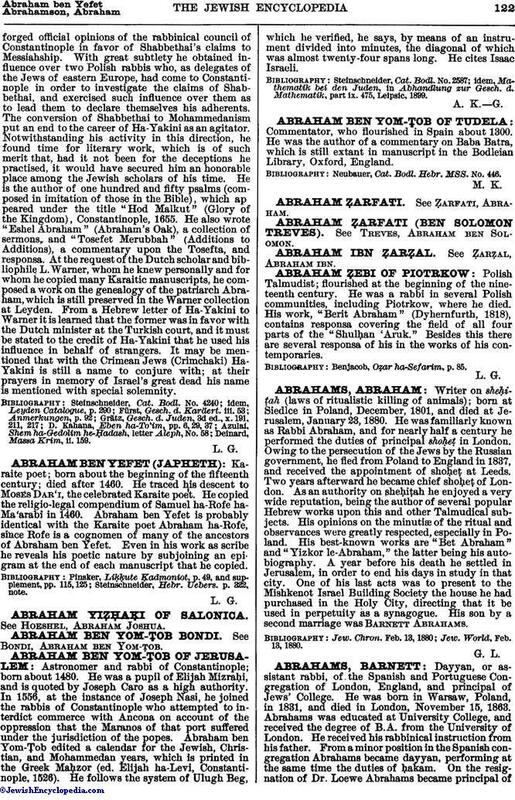 It was in Constantinople, about 1653, that Shabbethai Ẓebi became acquainted with Ha-Yakini, who, on account of his learning and oratorical powers, enjoyed a great reputation in his native town. He is described by contemporaries as the best preacher of his day.